A lot of people turn to photography as a hobby, because aside from providing them with a fun and engaging activity, it also gives them a means of expressing their creativity. But there’s more to it than that. Photography trains you to spot a possible subject from afar, and to compose a good photo in an instant. This practice increases your mindfulness because it encourages regular use of your senses. When applied to everyday life, self-awareness can help enhance your relationship with yourself and other people because it enables you to get to know yourself better and therefore communicate your thoughts, feelings, and needs on a more solid level. If you were to examine the works of some of the world’s most renowned photographers, you’ll notice that many of them tend to feature scenes or subjects that are not considered conventionally beautiful—sometimes even downright unappealing. And yet, these photographers are able to turn these unattractive scenes into works of art. This tells you that, with the right mindset, even the most mundane subjects can appear beautiful and meaningful. Taking a good photo isn’t just about having the right camera equipment (although this is a big factor) at your disposal. It’s also about having an eye for all kinds of beauty. Photography teaches you to look for beauty wherever you go, even in subjects that seem lackluster or ordinary. And once you have trained yourself to do so, you begin to apply the same principle in all aspects of your life. You’ll find yourself being grateful for the things you used to take for granted, and finding the good in situations that appear to be negative or hopeless. Photographers don’t usually get a photo right on the first try. They take several (sometimes even hundreds) of shots before they finally capture the image they wanted to create. Unless you’re a complete pro at photography, it usually takes a lot of trial and error to achieve what you want. 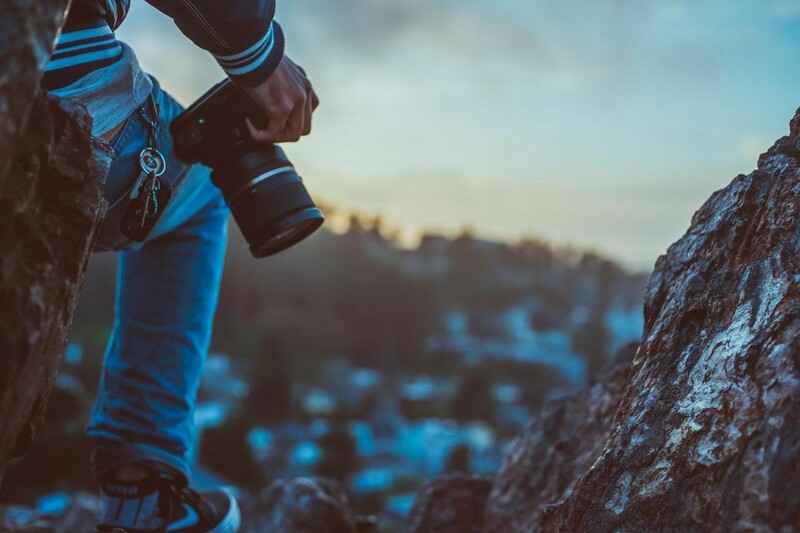 Aside from the difficulties involved in capturing the right photo, broadening your knowledge in photography will bring you to various places and expose you to all kinds of shooting conditions. Being able to overcome the different issues and obstacles that come with these situations cultivates resilience, and when you apply this kind of mindset to everyday situations, you become more adaptable and resourceful when faced with the challenges that life will throw at you. The craft itself also serves as an outlet for your emotions, thus easing everyday stress and giving you a better perspective in how to respond to trying situations. There’s a famous quote from Bill Keane that goes, “Yesterday’s the past, tomorrow’s the future, but today is a gift. That’s why it’s called the present.” This reminds us how each new day is an opportunity to start over, so we should focus on making the most out of it and not wallow in the past nor worry about the future. One of the keys to happiness is being fully present in the current moment. This allows you to focus your energy on the important things that need to be done right in front of you and not be consumed by over thinking. As a result, you’ll be more productive and have better peace of mind. Photography requires you to be fully present. It trains you to always be on the lookout for photographic opportunities wherever, whenever. This forces you to be more aware of your surroundings and to be in the moment, leaving you little to no time to worry about the past or the future. All the benefits stated above points to one thing—photography makes you more positive. It opens your eyes to how big the world is, and how you do not need to confine yourself to the negative thoughts and actions you are experiencing as of the moment. It allows you to see and experience beauty in different ways, which is more uplifting and satisfying than constantly focusing on the bad. And because you’ll realize how big the world really is, you begin to feel more hopeful as you go through the motions of life, knowing deep inside that no matter how bad things turn out, you can always get back up and find a place where you can start over.